I just recently discovered this product and I must say that after using this for a couple of weeks now, that I have noticed some changes on my skin. For reference, I have combination skin and for the most part oily to acne prone but with dry patches here and there. 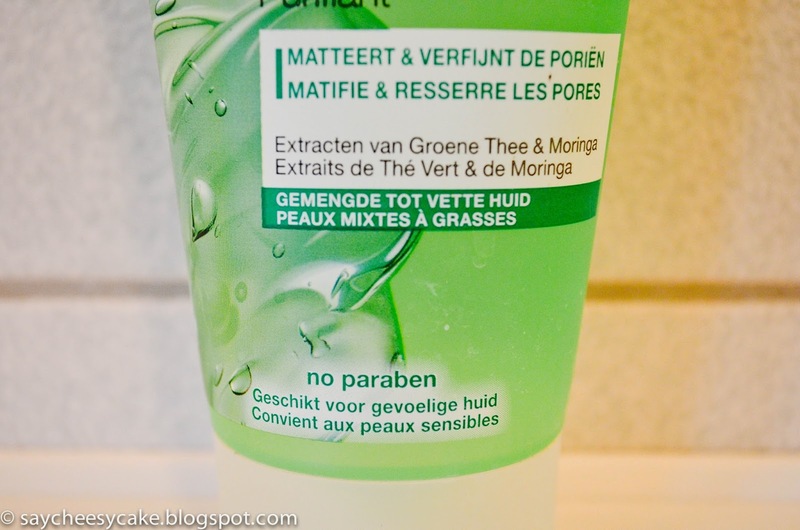 I use this cleanser at night after I remove my makeup while using my facial brush (as featured in my recent post) to really deep clean my face. 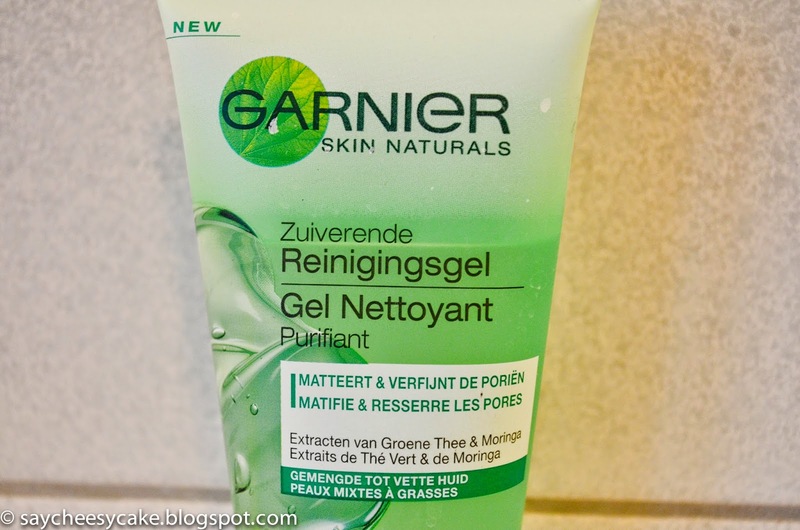 According to Garnier, this gel is enriched with purifying and anti-oxidant Moringa extract to remove traces of makeup, impurities, and pollution to the skin. It is also enriched with green tea extract to tighten the pores. 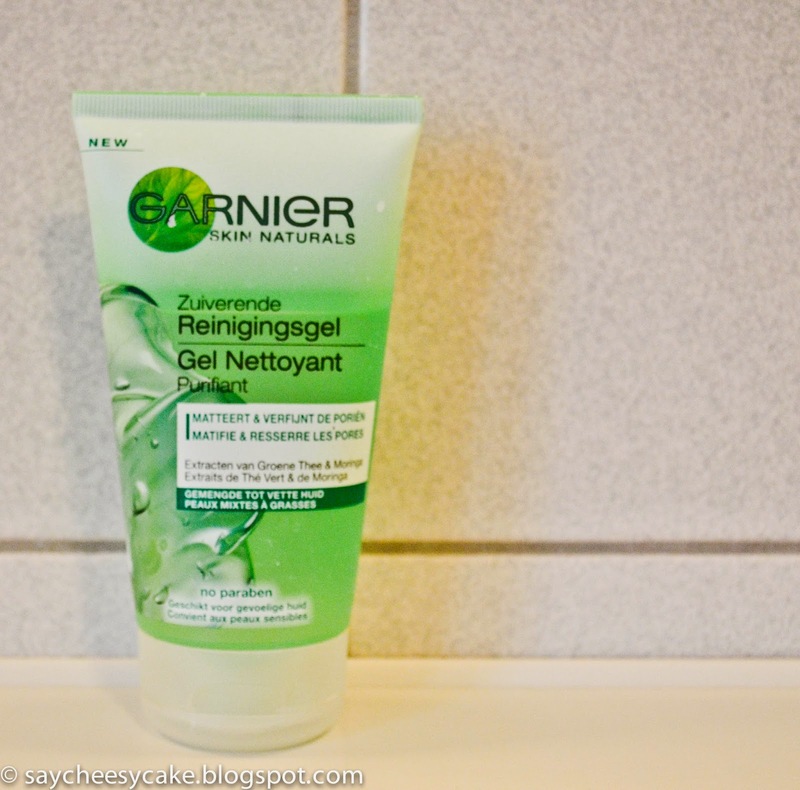 After a couple of uses, I found that Garnier Skin Naturals Purifying Cleansing Gel, really does its job in cleansing the face. It gets rid of all my excess oil without stripping it off. It doesn't leave my face dry or made my dry patches worse. It left my skin feeling smooth and refreshed. I also noticed that my makeup lasted a lot longer. Having oily to combination skin does have its toll and I hate reapplying makeup when at work. Normally, my makeup would slip off before lunch time and leaving me with no trace of mekeup as if I never had it. So whenever I check my face on the mirror I noticed that my makeup still looked decent and I didn't feel the need to reapply powder. Another bonus which you don't often get from just any drugstore product is that this is paraben free. Although there is no proper scientific evidence to link cancer and paraben, it is just comforting to know that what we slab on our skin is free of things that could be harmful to us. All in all I am quite happy with this product and would higly recommend it. For now, this is definitely in my skincare routine. Which facial cleanser are you having at the moment? Hi Paige, yes I love Garnier too. Their products are good quality and are affordable. Thanks for dropping by. Have a nice day. Hi Leah and Rachel, same here. Yeah, you should try it again. Thanks for dropping by. Have a nice day. It's nice to know this is working for you! I'll have to give it a go. Let me know Corine how it goes when you've tried it. Thanks for dropping by. I haven't tried Clarins maybe i should check it out? Thanks Luvleen. Let me know if you like it too once you've tried it. 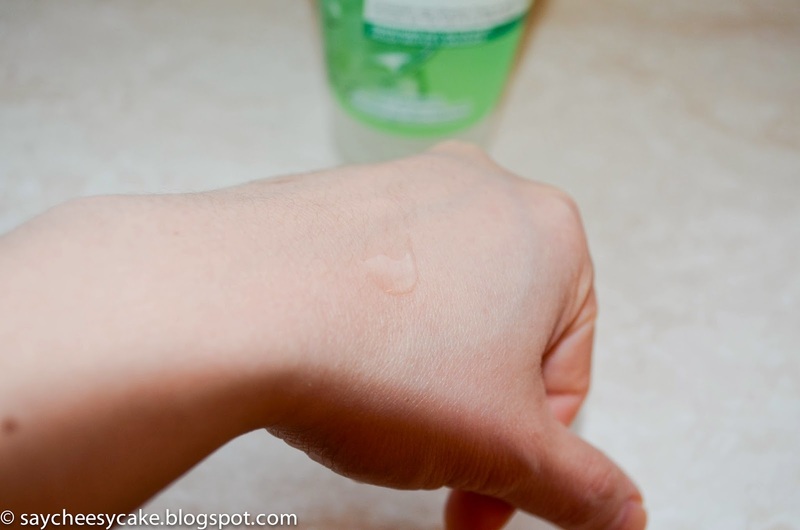 The skin care product shows effective result on dry skin does not mean that will show same result on oily skin. So by keeping in mind this fact, choose the best glycolic serum which is best for all skin type. Do your market research for best skin care products to remove aging and heal the skin from its inner part.